The Decemberists have launched a powerful video for their new single Once In My Life.The song has been taken from the band’s eighth album I’ll Be Your Girl, which arrived in March this year via Rough Trade Records.The video was directed by Autumn de Wilde and features her brother Jacob, who is 7’ 2” and has Auditory Processing Disorder. Autumn describes the shoot as a love letter to him.Vocalist and guitarist Colin Meloy says: “We were searching for a video idea for Once In My Life that would somehow capture the spirit of the song. In my mind, the song is a meditation, a plea to the cosmos that I imagine everyone, at some point or another, has made. “We asked our old friend and collaborator Autumn de Wilde to pitch an idea and she came to us with a simple but powerful story: a depiction of her brother Jacob, a man who has lived with physical and intellectual differences his entire life, dancing in the streets of Los Angeles. “The song, in this light, becomes more than just a ‘celebration of sadness’ – which I have sometimes called it – but suddenly a longing holler to the universe against one’s perceived otherness.”I had been wanting to explore a creative collaboration with my brother for a while, and this was the perfect songAutumn de WildeMeloy continues: “This idea is particularly close to me as I’ve witnessed how the world sees my son Hank, who is autistic. When I’m out in public with Hank, I’m acutely aware of the world’s attachment to social and behavioural norms; in these situations, Hank’s otherness can suddenly be put in stark relief. “Through the lens of Jacob’s joyful and defiant movement in Autumn’s video, we see a man shrugging off the constraints of an unaccommodating and judgmental world and truly revelling in his body and mind.”Autumn says that Once In My Life is the song she needed when she was young “when I felt stared at, mocked or unseen for my heart and mind.”She adds: “Jacob also had an immediate emotional reaction to the song when I played it for him the first time. 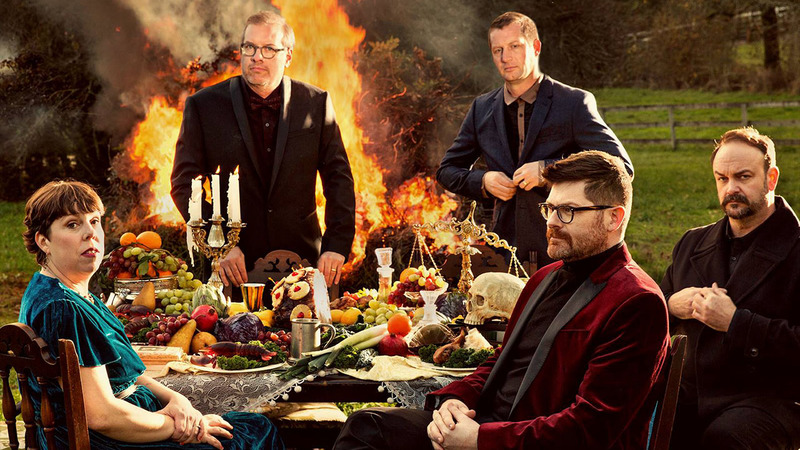 I had been wanting to explore a creative collaboration with my brother for a while, and this was the perfect song.”The Decembrists will head out on tour from next week across North America. They’ll then head across the Atlantic in November for dates in Ireland, the UK and mainland Europe.